Dr Jack Dunnett, a native of Caithness, is an internationally renowned potato breeder. 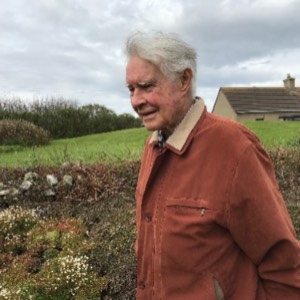 He studied scientific agriculture and botany at Edinburgh University, prior to joining the Scottish Plant Breeding Station at Pentlandfield where he worked for 23 years, developing some of the successful Pentland varieties. He left to set up his own private potato breeding programme in Caithness. In this interview, Jack not only reflects upon his career as a potato breeder but talks about inspiring others to grow potatoes. He also mentions his book ‘A Scottish Potato Breeder’s Harvest’ and he describes his wonderful semi-natural garden with its many native wild flowers growing in harmony.